Your computer sure makes life easier, but can you say you pay it back the same way? It turns out, seemingly insignificant things, like keeping the battery in or forgetting to unplug your headphones, can slowly kill your electronic buddy. Don’t worry! I’ll fill you in on the most common mistakes in PC care. - Always start with connecting the laptop to the charger, then the plug to the outlet and only then turn the laptop on. - If you frequently use your laptop while it’s plugged in, it’s a good idea to take out the battery after you’ve charged it to about 50–60%. - Impatience gives your computer too much pressure it can’t handle, causing the operating system to freeze and the distortion of data. - It’s not just the grid to blame for power surges, lightning can give you a hard time as it sends its pulses through cables and even phone wires. - Remember, your computer needs an effective cooling system. Otherwise, you’re at risk of overheating and the interrupting functionality. - For the operating system to run smoothly for many years, give it the treatment it deserves. - Sleep and hibernation are only good when you’re using the gadget at home and don’t like to constantly wait for the system to fully boot (although it’s worth doing it from time to time). - One thing that your laptop and computer both have in common is that they hate the Sun. Obviously, it can cause problems with overheating, and its rays can slowly, but surely, kill your display. - What do the cables and power cords of your laptop look like? If they’re all twisted and bent or wrapped around something to keep them bundled, don’t expect them to serve you a long time. - Heat is your laptop’s worst enemy, so keep your gadget cool on a flat and firm surface. - When your power supply burns or gets lost, don’t go for a cheaper version or borrow your friend’s old charger to save money. - If your disk is full but you don’t think you have too many programs installed, try using some tools that delete rarely used and temporary files. - Ammonia-based, alcohol-containing substances can seriously damage the anti-reflective coating of your screen and shorten its lifespan. - Whenever it’s possible, turn off the sound, keyboard backlight, Bluetooth, and Wi-Fi if you can work offline. Hey there guys, what’s the main purpose you use your computer for? Work, school projects or maybe games? my lap tops battery is not charging even after connecting with a power source So i removed battery and used directly Is it good? Work, school projects and game playing. Most of the condition I would like to play games because it remove boring mood. most of these computer problems seem to follow laptops the most, usually if you have a desktop like me though the only things that you have to worry the most about were keeping it clean from the inside that way it always runs cool, clean off the peripherals and replace the monitor and speakers once every few years, but things like the power supply, you can literally buy any good power supply from any reputable manufacturer, desktop systems don't care about the wattage so much, its the quality of the unit itself that matters the most, as long as it is 80+ certified, that's usually more than good enough. How can i let my laptop always plugged in if the battery is not user removable? Should I have a screwdriver in my backpack all the time? Don't let your younger siblings (preschooler and gradeschooler) play on your laptop. They'll smash it to pieces if they kept loosing the game they play especially dark souls. I broke all of these and I'm still using the laptop that I bought last 7 years. 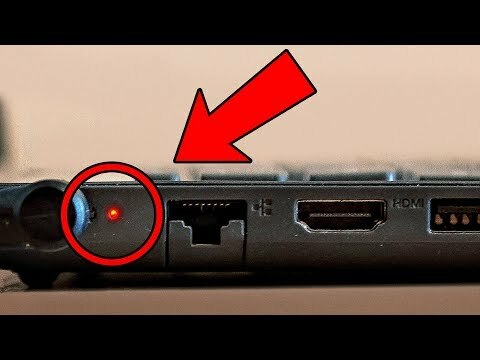 what about laptops with internal batteries (non-removable ones), what should I do if my laptop is always connected? every time I give fully care & attention to my devices, it will broke soon. A lot of Info given here is wrong. Please dont follow blindly. Latest laptops comes with smart circuits who cut power to your battery and connect laptop directly to ac power and when your battery is fully charged you dont have to pull it out and put in fridge. Why Do North Indians Look So Different From South Indians?